James H. Bedford is the first person known to have been placed in a state of cryonic suspension under controlled conditions. This event occurred in 1967 after a physician certified his death. Decades later his body remains in a hypothermic (supercooled) condition within a liquid nitrogen cylinder. Decades from now, perhaps he will be the first person to be resuscitated after this episode of biostasis, or what earlier generations called suspended animation. This hope is what led Bedford to arrange for cryonic suspension as an alternative to cremation and burial. Through the centuries some people have accepted the inevitability of death while others have devoted themselves to finding ways of prolonging life or, even better, living forever. These efforts have included bizarre and dangerous practices compounded of superstition and magic, but also increasingly effective public health measures that have resulted in a significant increase in life expectancy throughout much of the world. The cryonics approach is intended to take another step. It asks the question: Because biomedical science has already accomplished so much, why should humankind assume that people still have to die and stay dead? The case for cryonics made its public debut with Robert C. W. Ettinger's best-selling book, The Prospect of Immortality (1966). He notes that in the past many people have died of disorders and diseases that have since become treatable. Medical advances are continuing, which means that people are still being buried or cremated even though their present fatal condition will eventually be healed. People should therefore give themselves the chance for a renewed and healthy life. This can be accomplished by immediately taking measures to preserve the "dead" body until such time as a curative procedure has been devised. The body would then be resuscitated from its state of suspended animation and the restorative procedure would be applied. From Ettinger's perspective, it is better to be alive than dead and human beings have the right to self-preservation. Furthermore, because so many gains have already been made in extending human life, it would be foolish to stop. An adult who has consented to the procedure. Financial provision for the services to be performed. 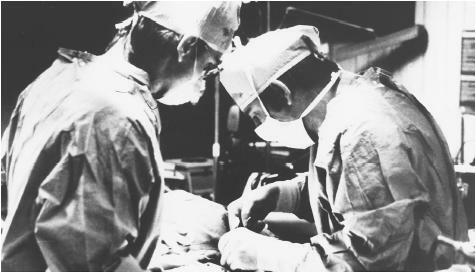 A physician and hospital willing to allow the procedure to be done. Prompt certification of death (to limit postmortem deterioration). Injection of cryoprotective fluid (composed of liquid nitrogen) to replace water and other body fluids. This fluid is disseminated throughout the body with a heart-lung pump. Technicians continue to monitor temperature and other signs. Bathing in a deep cooling bath until the desired temperature (about –79 ° centigrade) is reached. Placement inside a sealed bag that is then immersed in a storage vessel filled with liquid nitrogen. The supercooled temperature is maintained indefinitely. A cure for the individual's once-fatal disease or condition is discovered by medical science. The body is removed from storage and carefully warmed. The condition that had resulted in the person's "death" is healed and life begins anew. Many criticisms have been made regarding the process of cryonic suspension. There is no dispute about the general proposition that refrigeration and freezing can preserve organic materials. A variety of industrial, research, and medical procedures rely upon this phenomenon. There has been some success in thawing out tissues and organs from liquid nitrogen storage. All of this, though, is a long way from resuscitating a person and, especially, the complex and fragile human brain upon which memory and personality appear to depend. The engineering and biomedical sciences have not come close enough to inspire confidence that such a feat could be accomplished at any foreseeable point in the future. Doctors prepare a patient for cryonic suspension. As of 2001, an estimated ninety people have been placed in cryonic storage. of death is delayed; medical or other authorities prove uncooperative; equipment or human failure is involved in carrying out the first crucial procedures; (2) ice formation will damage cells and tissues despite protective efforts; and (3) additional extensive damage will occur during the attempted resuscitation process. Many neuroscientists doubt that an intact and functional human brain can survive both the freezing and the rewarming processes, even if the neural structures had not suffered irreversible damage at the time of death. What will happen to marriage, remarriage, and family structure in general if the dead are not necessarily dead? How will people be able to go on with their lives? How could loved ones complete—or even begin—their recovery from grief and mourning? What formidable problems in adjustment would occur when a "Rip Van Winkle on Ice" returns after many years to a changed society? Will people become less motivated and more careless with their "first lives" if they expect to have encore appearances? As of 2001, there have been no known attempts at resuscitation because cryonicists judge that the technology has not yet been perfected. Since the 1980s there has been a trend to preserve only the head. The theory behind these "neuro" preparations is that (a) this form of storage is less expensive and (b) science will eventually make it possible to grow a new body from DNA. More conservative cryonicists, however, continue to favor the whole-body approach. Even more recently there have been announcements that future efforts will switch from cryonic storage to vitrification—converting body tissue to a glasslike stone material. Advocates (including at least one cryonic suspension organization) believe vitrification would avoid the tissue damage associated with freezing and resuscitation. There are no known previous examples of vitrification having been applied above the level of isolated tissues and organs. Along with the big question—Could cryonic suspension ever work?—there is also the unanswered question: Why in America's high technology society have the cryonic storage vessels received fewer than a hundred people since 1967? At present, cryonic suspension remains a controversial and seldom end-of-life option. Future prospects are difficult to predict. Drexler, Kenneth E. Engines of Creation. New York: Anchor/Doubleday, 1986. Ettinger, Robert C. W. The Prospect of Immortality. New York: MacFadden, 1966. Gruman, Gerald J. A History of Ideas about the Prolongation of Life. New York: Arno, 1977. Harrington, Alan. The Immortalist. New York: Random House, 1969. Kastenbaum, Robert. Dorian, Graying: Is Youth the Only Thing Worth Having? Amityville, NY: Baywood, 1995. Storey, Kenneth B., and Janet M. Storey. "Frozen and Alive." Scientific American 263 (1990):92–97. Wowk, Brian, and Michael Darwin. Cryonics: Reaching for Tomorrow. Scottsdale, AZ: Alcor Life Extension Foundation, 1991.